Welcome to the first in a multi-part series that will focus on microphone basics and capturing sound both for streaming platforms as well as podcasting, co-presented by Performer Magazine and Audio-Technica. In this installment, we’ll take a closer look at popular streaming platforms, the best types of microphones for web audio, wireless options for field recording as well as some accessories that could make your streaming audio endeavors easier to handle. In upcoming installments, we’ll go into more detail about podcasting microphone choices, mixing options, as well as tips for getting the best sound possible for your web-based a/v projects. To clarify, when we talk about streaming, we’re really talking about web-based platforms and apps that transmit audio, video or both over the internet. 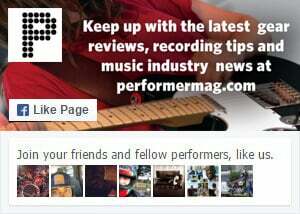 As an artist, it behooves you to learn about all the available promotional platforms available for your band, and what each brings to the table. Not just standard streaming services like Spotify and Apple Music, which merely allow users to listen to your albums, but also platforms that enable you, as a content creator, to transmit your original content (outside of studio recordings) directly to your fans. Live-streaming or broadcasting rehearsal, recording or writing sessions. One of the most engaging artists to offer behind-the-scenes content and insights into his creative headspace is Deadmau5, who’s frequently used the Twitch platform to deliver hours-long studio sessions and synth explorations. If you’re not currently on Twitch for your band, you should be. More and more, this platform is developing a strong content base for music-based broadcasting, and the ability to hook fans with exclusive, live-streamed or on-demand video content is an opportunity not to pass up. Product reviews and video demonstrations. We’re seeing a lot of great artists get into the world of product reviews, walkthroughs and gear demos on their social media platforms. Currently, the best platforms are the ones you’d expect, like Facebook Live and YouTube. YouTube has the upper hand for longevity, as the Google-owned property is much better setup for search capabilities and keyword mining, as opposed to Facebook and the Facebook-owned Instagram platforms which offer up more ephemeral viewing experiences. Typically, video search options and browsing capabilities are weak (or non-existent) on FB and IG, so it’s in the artist’s best interest to create topical, relevant content that “strikes while the iron is hot,” so to speak, as most FB and IG users won’t ever be able to find that content again. Here’s an opportunity to be smart about using sponsored posts and targeted audiences to your benefit as part of your overall marketing strategy. For simple streaming, like gear walk-throughs, talking head pieces, voice-over and interviews, you can’t go wrong with an easy-to-use USB microphone. We’ll get into more complex setups in future installments, but let’s work on the assumption that you’re a singular person talking to the camera. In this instance, a USB microphone like the Audio-Technica AT2020USB+ is a great option, because it can capture vocals as well as acoustic instruments (let’s say you’re doing a special acoustic Facebook Live session for your followers), and doesn’t require additional hardware like an audio interface, mixer, or additional XLR cables, nor does it really require a full-blown DAW to operate. USB mics offer true plug-and-play capabilities, and the AT2020USB+ in particular features a cardioid pickup pattern that provides solid off-axis rejection. It’s also got a high-quality, on-board analog-to-digital (AD) converter that will enable you to directly capture great audio no matter what software you’re using on your computer. We also recommend USB mics for these types of scenarios because they oftentimes (like the AT2020USB+) offer built-in headphone monitoring, again negating the need for an external headphone amp or audio interface monitoring. USB mics are a great option if you’re doing live video streams in a controlled environment, like a studio. But if you’re doing any sort of field or on-the-go recording, and you’re going to be the on-camera talent, you may want to investigate lavalier (or lav) options. These tiny mics can be clipped to clothing or made inconspicuous, so they don’t interfere with the visuals of your stream, while still capturing high-quality audio. We’ve gotten to the point where the big old dynamic lavs of old have been replaced with super-miniature condenser lavaliers that feature capsules no bigger than a tiny gumball. What’s great about lavs is that they can often discern voices and add emphasis to speech while filtering out unwanted background noise. For live situations in the field, this can be a life-saver (especially for interview situations or for journalistic reporting). These types of lavs might need to be positioned closer to the source (i.e. your mouth) but are still small enough to go unnoticed by your viewers. For musicians, in particular, if you’re doing say a tour diary vlog, lavs can make your audience feel like you’re speaking directly to them in an authentic way — as opposed to handheld mics that might make the video seem more artificial and staged. An inconspicuous mic situation lends an air of authenticity that could be a great added benefit no matter what type of video content you’re producing for your band. As far as lavs go, for video production we recommend sticking to omni-directional mics. That way if you more from the source slightly, or re-position the mic accidentally, you’re not throwing things out of whack and off-axis, causing phase, volume and other related pickup issues. For truly mobile applications, there’s the smartphone compatible Audio-Technica ATR3350iS or, even better, the AT898 or AT899, which both offer cost-effective, subminiature omnidirectional lavalier mic options. The lavs mics above are typically going to be wired options, which might be fine for a lot of users, but wireless may be the way to go for your particular video needs. In this scenario, you’re likely a power user and are more comfortable with using additional hardware in your video production setups. Typically, a wireless system will function together as a cohesive operation, and usually consists of a wireless microphone that transmits the audio signal to a wireless receiver. Audio-Technica has great options for videographers, including their System 10 Camera Mount portable wireless systems, which we’ve field-tested in the past. Using one of these systems, your band can conduct behind-the-scenes interviews, capture backstage tour footage and film studio sessions without the need to be tethered by audio cables running all over the place. The lav version of a wireless system may just require the wearer to have a bodypack, that will transmit the signal to the receiver, as opposed to a mic transmitter. Many of these receivers can be mounted right to your video camera, making things even easier in the real-world.In any case, the flexibility and ease of use of a wireless system for content creation may be just the solution you’re looking for when upgrading from a simpler video production solution. We hope this installment at least gets you familiar with some of the options available to artists, and gets you thinking about your own content creation needs. Stay tuned for upcoming parts of the series in the weeks ahead. Also, be sure to check out the entire range of Audio-Technica products here and follow Audio-Technica on Facebook, Twitter and YouTube.